Good morning everyone! It’s been a good four days since Thanksgiving! Haha! This week has been pretty good, and I am adjusting well to this new area! Thanksgiving was great! We ate at two different families that we were invited to. We had a lot of fun, and we played card games which was awesome! The members in the Hunter area are great, and they are always giving us rides and helping us out. So it’s been a huge blessings especially since our area is pretty huge. Friday we had our district meeting which was great! Our District Leader here, Elder Greer, is a great guy and is a lot of fun to be around! We have been doing a lot of service helping people put up Christmas lights which has been fun! We help out one of the senior couples in our district with their Christmas stuff and helped them out. We live in the basement of a home that an elderly lady owns, and so we got her lights and decorated the house and then with the extra we did our floor too which was a lot fun! We also helped out with one our ward mission leaders, Brother Gomez, and got his lights up! So, I have definitely been feeling the Christmas spirit, haha! Happy Thanksgiving, y’all!! Well, it turns out that I am getting transferred out of the Samoan area! I will be going to the Hunter and Hunter East Stake! So, I’ll be going back to white people. haha! It’s close by my last area in Hunter South. It’s just right across the street! So. it’s going be fun going back to the Hunter District! So, I will be here for Christmas, as well. My new companion is Elder Gee, and he is from Michigan and I’m super excited to be with him! He has been out for almost as much as me for 16 months. My last week here in the Samoan area I said my goodbyes to the investigators and members. We had our lesson with E.J. And Emerson which was great. We taught them the commandments, and they are super excited are ready to be baptized soon! We also had lunch with one of our members this week at Olive Garden which was a lot of fun! Their son actually recently got his mission call to Canada! So it was awesome to see that happen! Hard to believe I hit 17 months this past week, but it’s gone by very fast! Only 7 more months left, and I know it’s going to be awesome! I’m excited to spend my winter in Hunter (or as they say it in Utah Hun’er)! It also snowed a bit on Friday during our last district meeting so that fun! The mountains are solid white now from the snow! It’s almost time to build some snowmen, haha! Although, it warmed up for Thanksgiving though. So we aren’t quite there yet. I’m really enjoying it here in Hunter, and we are making flyers to put in the Church buildings so people can know who we are since we cover two stakes! We don’t have a car. It’s a pretty big area, but I’m pretty excited for it! I’m defiantly going to miss the Samoan culture (and their food haha!) but I’m ready for a change. And I hope I can do my best to serve in this new area! Also, I get to burn some pants for the 18th month mark next month. So I’m excited to do that! I hope everyone is having a great Thanksgiving! I love all of y’all! Stay safe! Love y’all! Samoan Week 17: It’s gonna to take Work! Good morning, everyone! This week has been great here in the mission field! This transfers has gone by so FAST! I will know next week if I stay or if I go somewhere else! Last Monday we had dinner with the Roys family, and then we did one of the new member lessons. So, that was a lot of fun! They are a great family and are awesome! We also have been teaching our new investigators, E.J. and Emerson, who are 9 and 8. They are really fun to work with! They live just down the street from us. So we see them a lot! On Saturday in our lesson EJ told us that he wants to be a missionary when he grows up! I thought that was soooo sweet! We showed them the baptism font and talked about being baptized with them. They are awesome and fun kids to teach! Also, on Wednesday we had a dinner/lesson with Seryah, who is a 13 year old young women we started working with recently as well. She is super awesome and knows the gospel already super well! So she is prepared for sure! She is on date for baptism for December 9th! So it has been a really good week here in the Samoan area! I hope everyone is having a great week as well! Thanks again for all the support and love all of y’all give me! I love y’all! Stay safe and remember who you are! Brothers and Sisters Talofa! I hope everyone is having a great morning! This week has been a lot of fun! Monday evening we had dinner with a part member family named the Nathans. They were awesome, and they are from Hawaii. They are even going to give us some lava lavas! So they were a great family, and we a lot of fun with their family. Wednesday we went down to Salt Lake City. Elder Miller had something he had to do down there, and we walked around for a little bit afterwards which was a lot fun as well! We met some missionaries from the Salt Lake Mission which was fun. It’s always fun to go downtown and to see the SLC Temple! Thursday we had a baptism interview to do for the Sisters in our district which was fun. It was down in South Jordan. So, it was fun to drive down there. haha! District Meeting was good, and we talked about teaching skills from Chapter 10 of Preach My Gospel and a little bit about the Book of Mormon. We got a new investigator Saturday! They are two brothers. One is 9 and the other is 8. So now we are working with them to prepared them to be baptized which is awesome! So, I look forward to working with them more now! We also had a few lessons Sunday which was awesome! It’s great to see the work start picking up now! I love this area, and I can’t believe how fast this transfer is going! It’s already November! We also did Zumba this morning. If any of y’all know what that is, haha! And it was a lot of fun!! But, love y’all and I hope everyone has a great week!! Good morning, everyone! I hope everyone’s week went well! We have been doing good here in the Samoan area! This week we had the confirmation of Roy, the investigator that was baptized last week! It was a great to finally have him confirmed and he is now officially a member of the Church! So, that was fantastic! This week was a little slow, but we had a baptism interview for the Tongan Sisters which was fun to do! I did the interview, and it was out in Sandy. So it was fun to drive out there! We also had District Meeting Friday which went well! We talked about finding and how to do in our areas, since it’s a little different here in the Polynesian area. So, that was a lot of fun! Facebook has been an interesting tool as well. We are able to share Gospel messages on it and talk to people about the church. So, it’s been really fun to do that! We can also talk to people that we worked with in past areas and see how they are doing. It’s been really good, and I love it. So if anyone hasn’t friended me on Facebook, please do! I love all of y’all and thank you for your support through email, prayers, letters, etc.! I hope all of y’all have a great Halloween! Also, today is an all day P-day so I am open all day if you want to talk to me! Love y’all! Samoan Week 14: Place your trust in God. Good morning brothers and sisters, talofa!! This week has been a week of miracles! This week our mission got Facebook, so now we can post things and talk to people about the gospel on there and on P-days we can use it to talk to family and friends. So, it’s been super cool to have this tool now and to use it for spreading the gospel! So, if you haven’t friended me yet, please do! My profile name is Zach Bowie. The other great thing that has happened this week is that we have picked up a ton of new investigators! So, we recently picked up two brothers who’s dad was less active. They have been coming to church with their grandpa, and the dad is trying to get active and wants to get them baptized. So, now we are teaching them! Another one is a nine year old of a less active family that wants to get baptized! So, now we are working with the whole family to get them to be active! Sunday we got another one as well! It’s kind of the same situation as the rest. A less active starting to come to church and they have an 11 year old daughter that wants to get baptized. We are now teaching her as well! So, it’s been awesome. We still have gotten some referrals, too. So we will see if we can get a few more people to work towards baptism! So, it’s been awesome so see this many people come to us at once!! One of the coolest things that happen this week is that I was able to be part of Roy’s Baptism this Saturday! It was awesome, and our mission president, President and Sister Palmer, were there as well! I was able to be the one who baptized him which was amazing! It was an amazing experience! I’m very proud of Roy and for his decision to be baptized! We credit a lot of this success to the goal setting we did at zone conference when we got facebook. They talked a lot about it, and we prayed about it and set some goals and prayed about it again. And it’s a miracle to see Heavenly Father’s hand in our lives and in the lives of those that we are teaching! I love all of y’all, and I hope everyone is having a blessed week! If you’re not, then turn back around and look for God’s hand in your life and I can promise you that you will see it without a doubt! Love y’all and stay safe! Samoan Week 13: Set your goals high. This week has been fantastic! As y’all know we had transfers last Tuesday, and I am now with Elder Miller! It’s been a good, yet hectic week here in the Valley. Transfer day is always crazy and it took us most of the day just to move everyone and to get situated. Most of week has been mainly going by some of the leadership in our wards and introducing, Elder Miller, and talking about the work and getting referrals. It’s been good and everyone, of course, is super loving and have been doing their best to help us out. Friday we had District Meeting, that was a lot fun. It was cool to prepare for it and lead the discussions we had. We mainly talked about goal setting in our areas and how to apply that to our areas here in the Polynesian wards. So that was a lot of fun. It went really well, and it was a lot easier then what I thought in my head! So I’m looking forward to next week! Friday we also had a lesson with Roy and we talked to him about the Word of Wisdom and Law of Chasity and it went really well! He is a great kid and he is still on track for being baptized next week! So we are looking forward to that! We will be getting Facebook next week on Wednesday. So we will be getting some training on it this week. So, I’m super excited for that and to see how it all rolls out. I will be using my one from home, and it’s going to be fun! We are already having a few people friend request us! I’ll be sure to tell y’all about it next week! Besides that, I just want y’all to know that I love all of y’all! Hope everyone has a great week! Thank you for your support and everything! Samoan Week 12: Transfers, Exchanges, and Leadership. Well everyone, I have some very exciting news! So turns out (unlike what I thought) I will be staying here in the Samoan area! My companion, Elder Bingham, is going to Kearns! I’m going to miss him! My new companion is Elder Miller for St. Louis Missouri! He is short and is an awesome guy so I’m looking forward to being his companion! Also, I’m now the District Leader of our district which was surprising for everyone! Haha! So, this is going to be a new adventure. I’m looking forward to it! My roommates have changed as well. Now the new English Elders are Elder Rebarchic (from Alabama), Elder Keith (He was here last transfer from NC) and Elder Skelton. So it should be a fun household. haha! Besides transfers, my week here has been awesome! We went on exchanges twice! Once with Elder Oliphant on Wednesday which was fun! I went to his area and I got to know him more! We had our lessons kind of fall through, but it was still fun! Then with Elder Bailey on Friday! He is a great guy and a football player. He is pretty fun and we saw a few people and had a great time together! In our area we have been working with some of our members, and had a few correlation meetings. So it’s been good. Our Investigator, Roy Moa, has been doing good and he is still on track for baptism this transfer so I’m looking forward to that! Besides that not too much going on here in Utah, hopefully we will see some snow in the valley in the next month or two! Looking forward to that again! Haha! I hope all ya’ll have been well! Thank ya’ll again for everything and for your support. It does mean a lot to me! I love ya’ll! Stay safe, and keep reading your scriptures! The past couple of days, since Wednesday, have been great! We were able to attend General Conference yesterday which was a great experience! We also had District Meeting last Friday, where we talked a lot about the Restoration. So, it was a pretty sweet week! Going downtown to Temple Square for General Conference was probably the best thing! I really enjoyed listening to the speakers and just going to the conference center which is huge & amazing! We went the Sunday Afternoon session, and we were on the terrace towards the ground level so we were pretty close! I hope everyone got an opportunity to watch conference! It is great to feel the Spirit that comes from it! I’m sad that one of the apostles passed away this week end as well, Elder Hales. So, be sure to keep his family in your prayers. Besides conference weekend, we also had a great District Meeting in which we talked about the Restoration, and it’s impact on our lives. The Spirit was strong. We also set our new investigator on date for October 21st. So, that was awesome! Besides that nothing too much has been happening here in West Valley. Oh! We get transfer calls next Saturday. So, I will know if I’ll be staying here or leaving by next P-day! So I’ll be sure to let all of y’all know if I do or not! Also, tomorrow is my Mom’s birthday! So I want to wish you a Happy Birthday! I love you, mom! Thanks again for all of your love and support! It is appreciated! I love all of y’all! Hope everyone has a great week! Talofa Brothers and Sisters! This past week here in Utah has been a chilly, and it’s beginning to look a lot like fall! It’s awesome to be here, and this week we had interviews with President Palmer, my mission president, which was great. It’s always great to talk to President, and we mainly talked about my area, here in the Samoan wards, and how I was doing on my mission since now I’m out over a year. Basically how to continue to serve strong. Don’t want to spill the beans, but lets just say they’re going to make some changes to my area, so I probably will most likely get transferred this next transfers (which is coming up soon in 2 weeks!!!). Besides that, we haven’t done too much. Tuesday we went to Mutual and hung out with the youth and invited them to come to a fireside that is happening Saturday in the Mapasaga Ward. President Palmer will be speaking at that. So we asked them to bring friends and family so that hopefully a lot of people will come to it! We also got a new investigator which is great! Some south missionaries found them at a restaurant and referred them to us. Sunday we contacted them and now we are teaching them! It’s a less active couple with an unbaptized son, so it’s going to be great to work with them! This morning we went to the SLC Temple downtown, and it was awesome! We had a great time, and we went as a zone and got some awesome pictures during the sunrise. So that was a lot fun! Besides that, didn’t do too much this week! I hope that all of y’all had a great week and have been doing well! I love all of y’all! Brothers and Sisters, Talofa! I hope all y'all had an amazing week! My week has been very good! We now have another set of missionaries living with us since we had a spare bedroom, so that's been great! 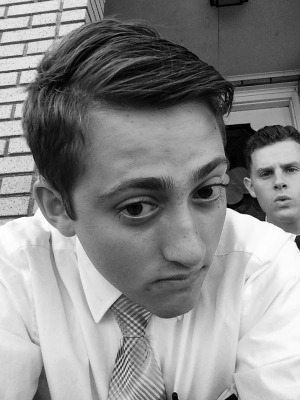 We have Elder Maldarizzi, from Italy, and his greenie, Elder Keith, whose from North Carolina! So it's been great to have roommates! It's been great serving with the Samoan people here in the valley with Elder Bingham! We have been trying new ways to find people to teach. Contacting the young men to get them involved in missionary work is the main thing we have been doing this week as well as this next week as well. I also had a baptism in one my pervious areas, out in Tooele, and I had the opportunity to be able to go which was awesome! It was someone named Ace that I met with Elder Lane. Ace, used to do a lot of drugs and stuff and he changed his life around through the church's addiction recovery program. He now runs and leads those himself helping other people with that trial. He was on parole, and so he was waiting approval from the First Presidency to be baptized. So it was awesome to see him finally make it! I was really grateful to be able to go! This week has been fantastic and I love the mission! Hard to believe it's already September again! Time goes by too fast! Thank y'all for everything again and for your support! I'm very glad to be serving here as well as to be learning and growing everyday! Remember to pray for those that are affected by the hurricane down in the Houston area! I'm sure they could use a lot of help right now! Thank y'all again! I love all y'all! Stay safe and chose the right! Brothers and Sisters, Manuia le taeao (good morning)! This week has been great! We had transfer calls this Saturday, and I will be staying here with Elder Bingham! So no changes for us! However, there are a lot of changes to the mission since we got a lot of new missionaries (greenies). So the zones got realigned. So now we are in the Redwood Zone instead of the West Jordan Zone. Guess what!? Elder Lester, one of the missionaries that I trained, is the one of the Zone Leaders! So that will be awesome! There is also now, the Copperton, South Valley, and the Desert Peak Zone. So lots of changes! Elder Knudsen(from Branson) and the Arkansas sister are still in my district as well! Besides from transfers, this week was pretty good. We opened up some apartments for next transfer with our Zone leader, Elder Ledbetter and Kozakevitch, and we moved furniture in them so that they are ready. We also got a little sick this week which was a bummer. Elder Bingham was pretty sick and was throwing up. So we gave him a blessing with the Zone Leaders, and just relaxed most of the day and watch LDS movies. So that was fun. He got better then next day though, so that was good. We have been doing well. We are going on visits with members and setting them up so that has been fun! We also had a great mission fireside Sunday about families! It was really uplifting! I saw a lot of people that I knew from previous areas! It was awesome! The mission is going great, and I can't believe that another transfer has gone by! Hope all of y'all have been doing well! I love all y'all! Thanks for the support and everything! Have a good week! Good Morning everyone! This past week has been awesome! 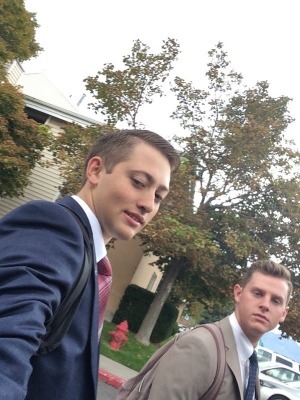 This week I went on exchanges with Elder Knudsen which was great! He is from Branson which is cool, and we had a lot of fun together even though we only had one lesson that day! It went good though and our one lesson went well with this Tongan guy and the Spirit was really strong there! We taught the Plan of Salvation and we had a lot of member support there to help out and to bear their testimonies as well! So, it was a ballin lesson! Saturday Elder Bingham had a baptism in one of his previous areas, and we were able to attend that which was awesome! It's always great being able to go to a baptism because of how spiritual and how fantastic they are! So, that was defiantly a big highlight of this past week! We also played volleyball with some folks in our ward that night and that was a lot of fun. We got to get to know some people and just relax and have fun which is always nice! So now my volley ball skills are on par now (haha!) since all the Polynesians love it! We get invited to play a lot which is great! So ya, besides that we didn't do too much this week besides the usual missionary work stuff! The mission has been great, and it's hard to believe that now 14 Months have already gone by!! It goes by way too fast sometimes! I love it though! I hope all of y'all have been doing well! We have transfer's next week, so I'll know by next Saturday if I am staying here another 6 weeks or moving somewhere else! It's exciting! We are getting a lot of new missionaries, so we'll see what happens! Anyways, I love all y'all! Hope y'all have a good week! P.S. Also have fun watching the solar eclipse today!! That'll be fun! Brothers and Sisters, Talofa! (Hello in Samoan) Good morning everyone, how has y'all’s week been? This has probably been one of the most ballin weeks ever for me! So, this week I went on exchanges with our Zone Leader (ZL), Elder Leadbetter, and it was awesome! What a great guy, and I really enjoyed being with him for the day! During our day together we contact what we call Potential Investigators (PI's) and they are people who someone has told us to come by or someone we met that asked us to come by and start teaching them and what not. In this area we have a pretty long list. So, Elder Leadbetter and I contacted all of them that we could, and this is like a dozen people! It was crazy!!! Because for us as missionaries, no one is hardly ever at home, especially in the afternoon. Even if they are, they usually don't open the door. (I wonder why! lol) That was a wonderful miracle for us! Sad thing is that now we need more referrals to contact. haha! We had a lot of success though, and we also set up 4 return appointments out of a dozen to go back to. So not too bad. It was a great highlight of my week! ALSO! Very important! We had multiple baptisms this past Saturday! 5 people total!! So first was our baptism in the Samoan ward we cover in West Valley! (Granger 11th Ward FYI) A mother and her son we have been teaching recently were the one's that got baptized, and our senior couple baptized the mom and the bishop baptized the son! It was beautiful! And of course, we had a huge lunch/feast thing afterwards which was homemade for half the ward! Haha! So that was great as well! It was a great experience for them and for us! It was also great to see their confirmation Sunday as well and for them to receive the Gift of the Holy Ghost! Then I had a baptism back in my old area in Granger/Hunter South! It was Jose Cababa who I set on date a week or two before transfers and he was baptized! Then afterwards he was confirmed and given the Aaronic Priesthood, so he could baptize two of his sons, Isaiah and Daniel, which was a great miracle to see that as well! He has been meeting with missionaries now for over 4 years, and it was great for him to finally make that step! So It was awesome to be able to attend these baptisms! Of course, one of the coolest things this week is that we had a decent rainstorm come through which doesn't happen very much here in Utah! Haha! The streets got somewhat flooded even though it didn't rain that much. So it was pretty cool to watch! I'm very grateful to be here in this mission and preaching the Gospel of Jesus Christ! I love every day and every second of my mission! It's hard to believe we are already half way through August! I know that what I am doing is probably one of the best things I could be doing right now. I love the work. I'm having a blast in the Samoan area, and I am doing well with Elder Bingham! He is a great missionary and is helping me out a lot! I hope and pray that all of ya’ll are doing fantastic as well! I love all of y'all! Thanks again for the love and support! I appreciate everything that y'all have done for me! Thanks for the impact y'all have given me! Brothers and Sisters, Talofa! This week was awesome! I had a baptism back in my last area in West Valley which was great, and I was able to go! It was great to attend that! It was April who was the single mom that we were meet with back in the Hunter South Stake. Elder Bingham also had a baptism in his last area which we were able to go to as well which was awesome! This week we also had interviews with President Palmar which was awesome! It's always good to talk to him! The next transfer is coming up and there will be a lot of new missionaries so a lot of new areas will be opening up. So everyone is excited for that! It's hard to believe that this transfer is half way over! It's going by fast! We also had a funny experience this week. One of our senior couples set up a lesson with some Samoan Seven Day Adventist missionaries! So that was crazy, but it went well. They had a lot of questions and one of them used to be a member, but is now less active. The other nonmember one liked what we said and it made sense to him. 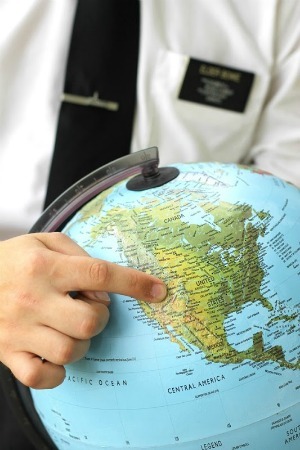 So hopefully one day he makes contact again with missionaries! We gave them our number if they ever had more questions. But it was a fun little experience that happen this week! We ate a great lunch that was prepared afterward which was awesome, too! The mission has been awesome! I love every second of it! It's been a huge testimony builder. It's weird now being one of the older missionaries in the mission! It goes by too fast! I'm the oldest in the district! Haha! The second oldest came out last September and everyone else came out in 2017! Lol! But it's great! I love it! I hope everyone has a great week! I love all of y'all! Talofa! (hello in Samoan) Brothers and sisters! This week has been ballin! Had a few miracles this week. One of them is with the investigator’s family that we put on date last week. I was on exchanges with Elder Burner the day of our lesson. We were teaching about the Gospel of Jesus Christ. Throughout the lesson the mom would cry a lot. She offered the closing prayer and thanked Heavenly Father for the gospel and for bringing her into the light. We talked about how Christ did many miracles and it inspired her to ask for a blessing at the end of the lesson. She has some illnesses she has been battling with. So the senior couple that came with us to translate gave her a blessing in Samoan, and it was awesome! It was a great spiritual experience. She is reading the Book of Mormon everyday and is coming to church. We are very excited for her baptism as well as the ward members. Saturday was a fairy busy day mainly because we had a lot of members invite us to events. We had a ton of food! After one of our lessons, the senior couple took us out to lunch. Then we had a Samoan party thing at 3 and they gave us a lot of food and our lesson that evening gave us more food! So we had a lot! I also had someone I taught in my last area be baptized which was great! It was Jose Aguilera's son Dominic and his daughter, Emily. So that was great for them to be baptized. Unfortunately, I won’t be able to go, but it was great to hear about that! But ya, me and Elder Bingham have been doing good. He's from Nebraska and originally from Utah! 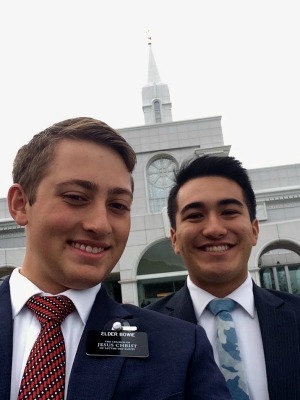 He's is a good missionary, and it's been fun working with him! Thank y'all again for everything! I hope y'all have a great week! This week working with the Samoans has been quite the adventure! So we have six wards, and everyone is pretty friendly! We didn't have too many lessons this week. We have two senior couples that we get to work with now which is awesome! On our second day, they called us and they had set up a lesson with someone and wanted us to come. When we went they wanted to be baptized! Haha! So we set the Mom and her son on date for August 12th! The son is married to a member and wants to be sealed as a family. The mom got interested as well. So it'll be awesome! Our area is huge! So we drive a lot which is fun, and it's great to in a car! Hopefully, it will last longer than one transfer! Haha! I hope I stay here for a while because the members are awesome, and the food is awesome! They cook really well! It's usually rice, mash potatoes, and ribs(chicken, pork, or something good). So it's been good! I'm also going to Vasa again which will help me kept those calories down. haha! Besides that it's been great! Everyone plays a lot of sports and activities, so we will start going to those! It helps us to get to know the members and to fellowship, too, so it's awesome! Anyways, thanks again for all of the support! The mission has been going really well and I love being out here! I love it! Good morning everyone! This week has been great! We had a baptism last Friday for Bella Thompson in the Harman Ward. It went really well and a lot of her family were nonmembers so it was great to met them and to share the restoration with them. Bishop Stewart of that ward did he baptism and Elder Maltos did the confirmation yesterday during their ward. We also did some service this week on Friday for someone in our District Leaders area and we weeded a mowed their yard which was great. We also help some paint and tear off the singles of their roof so they can replace them so that was fun. It's been pretty hot this week from anywhere from 95 to 105 so lots of water has been consumed. We also had a recent convert devo this Sunday and Bella came with us to it which was awesome! It was good timing for her! Besides that we have been doing great and this past transfer has been going by really fast and I will know next week if I am staying or leaving. So that's always exciting! I love all of y'all! Thank you for your support and everything! I hope you guys have a great week! I love all of y'all! Alright, so the past couple of days since Thursday has been awesome! We had our baptism Saturday for Sunmi Kasai and her son Peter and it went really well. We had a lot of good member support. 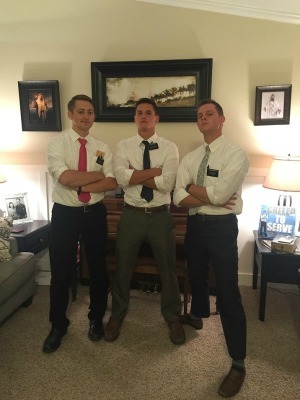 It was awesome, and me and Elder Maltos and got to confirm them Sunday! So that was ballin! We also had a youth Fireside last Sunday that was awesome! We talked about the Holy Ghost and using it in their lives. We also hiked to Donut falls today with our Zone which was awesome. and I had a great time! So that's why this was sent a little late! Sorry! But we had a great time. and today is our all day P-Day. So we get to relax all day, and this evening we are doing a Zone BBQ. It's going to be good! So the mission has been great, and I still can't believe it's been over a year now since it started! I love all of y'all and I can't wait for the rest of the week, because we should have a baptism this Saturday for Bella (one of our investigators)! So I'm excited for that as well! So I love all of y'all! Hope all have a great Fourth of July! Well, this week was ballin! We had a youth conference this week in the Hunter South Stake which was awesome. We literally had 44 people helping us with missionary work in the world's smallest stake which is less then a full block. So that was awesome, and we had a lot of fun working with the youth of the stake. We also met an investigator named Sunmi Kasai and her son Peter who are from Korea, and they have been meeting with missionaries a bit in the past, and we got a referral for her from this youth conference. We met with her Tuesday and she wants to be baptized this Saturday! So we have been meeting with her everyday to teach her all the lessons, and we set up the baptism program and the interview. So it's awesome. So that was a huge miracle that happen! We also went to the temple in Bountiful today which was awesome. I had a great time with that, but on the way there we got lost and almost made it to Ogden. haha! So we got there a little late. But it was great! We had a great time, and it was awesome! Besides that it's been awesome, and we have been having a lot of fun and doing a lot of good work. So we have the baptism Saturday and then Bella’s baptism will be the Saturday afterwards. So we have a lot of stuff coming up. So it's great! Thank y'all for everything, and I hope y'all have a great week! Love all y'all! This week has been been awesome! We have done a lot! We found a new investigator this week! Her name is April, and she is African American. She is married (but her husband isn't interested)! We got a referral for her in the Woodledge Ward, and we met her for the first time this week and she really wants to join the church. So we set her in date for August 5th. That is the day one of her sons passed away, so it means a lot for her. So I'm super excited to begin teaching her and to help her. We also went to Temple Square last Monday which was fun! We went with another of our investigators, Bella, and it was ballin! We went to all the different tours all evening, and she had a lot of fun! She is 14, and she is on date for baptism for July 8th. So I'm excited for her, too! She is doing very well! We had something exciting happen last Saturday as well! We went to the Harman Ward Building to use the restroom and to write an email to some of our ward leaders. We saw some smoke out back, and someone had made a fire in the dumpster out back. It was a really big fire, too! So we called the bishop of that ward and 911 and got the fire department to come and help put out the fire! So we helped saved the church building from burning. So that was crazy! We also got a picture with the fire truck which was awesome! They were all LDS and so we talked about our missions with the firefighters. So it was fun! Bishop Stewart gave us a ride home since it was a little passed nine by the time they got it out. So we had a lot of fun things happen this week! Thank y'all again for all the love and support! I hope y'all have a great week as well! Love y'all! Good morning y'all! This week has been wonderful! We did a lot of work this week, and we are starting to teach more. It's been a good time! Elder Maltos and I have been doing great, and we can't wait to hit our year mark this week! We are going to burn shirts this week at a members house, so I'm excited for that! It'll be fun! We had an awesome miracle this week as well! We went by a family who had a recent death in their family because of some gang shootings in our area. We stopped by and taught them a lesson. We swung by and the spirit was so strong. They were very interested in learning more about the gospel, and it was ballin! They speak Spanish better so the Spanish Elders in our area will be teaching them, but it was a really cool experience to feel of Heavenly Father’s love for them! We also spoke at the Harman Ward this Sunday, and I talked about the Atonement of Jesus Christ which was awesome. I used Elder Nelson’s talk from last General Conference which talked about the Atonement and it was awesome! Here is a quote from it, "When you reach up for the Lord’s power in your life with the same intensity that a drowning person has when grasping and gasping for air, power from Jesus Christ will be yours...When He can feel that the greatest desire of your heart is to draw His power into your life--you will be led by the Holy Ghost to know exactly what you should do. When you spiritually stretch beyond anything you have ever done before, then His power will flow into you." So, it was awesome! I really love that quote! We are going to be trying to set a few people on date for baptism this week and that way they can use the Atonement of Jesus Christ more in there lives and have their sins washed away. So it is inspiring! We also set one of our investigators for a date yesterday, it was a really good lesson, and the Spirit was very strong there! It was a miracle for sure! Her name is Bella, and she is 14, her parents are less active, and we went over the baptism interview questions and she did ballin! Elder Maltos asked her to pray at the end of lesson. She is actually very nervous about praying in front of people and he didn't know that but she did it for the first time with us! We set her on date for baptism on July 8th and then talked to her dad about it. Her dad was very supportive and allowed it! So that was a huge miracle! We are also going to Temple Square tomorrow with her and a few of her friends that are from young women's and I am looking forward to it! So it was a really awesome night! So it has been a really great week and I am looking forward to the rest of this transfer, and I can't wait to keep going for the next year! Thank y'all for everything, and I love all y'all! Hello there! It’s Zach’s mom here. :) Yesterday was a big day for our family. Our little boy is now is young man! Hello 2-0! Every time I thought of Zach’s birthday over the last few weeks I got a little teary eyed (ok….maybe a lot teary eyed!) because this was the first year I wouldn’t be there to make him his birthday breakfast (cinnamon rolls! ), make his birthday cake, make sure he had his favorite meal (pizza or hamburgers! ), plan his party and watch him blow out his candles. It made this Mom’s heart so happy last night to receive these pictures from the Smith family. Thank you for taking care of our Elder! It looks like he has a wonderful birthday & was well taken care of! :) Happy Birthday, Elder Bowie! Hunter Week 12: Transfers and a Birthday! June is finally here y'all! Hard to believe it will be a year soon in just a few days! It has gone by so fast! I'm glad the weather has finally decided to warm up. It feels really good right now outside, so it's awesome! We did have transfers last week! Don't worry! 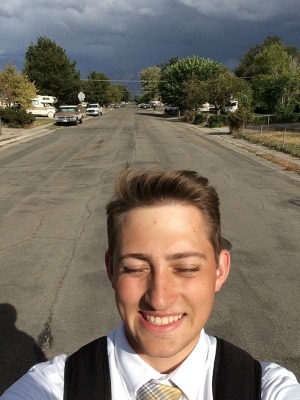 I will be staying, but my companion, Elder Muse, will be leaving and he is going to the Granger East Stake (which is just the east side of West Valley). So we will still be in the same Zone. My new companion is Elder Maltos! He is from my MTC District, so we have both been out for about a year. I'm looking forward to serving with him! But besides transfer calls, this week has been awesome! We helped one of our investigators, Brittany, move and she is looking for a low income housing place. So we helped the best we can, but it's definitely a trial for her. We helped move all her stuff into a storage facility. It felt good to help her with the help of some members. We also helped out someone in the Ridgeland Ward, who needed help moving carpet. We took out all of the wall trimming so they can have someone put in some wood flooring. So it was great to help them out. We chopped down some trees for someone in our District Leader's area, and we put it in a trailer. That was a fun afternoon service project! So we did a lot of service this week. Recently I have been passing out okra to people. My mom sent me some seeds, and so I got like 20 or 30 pots of it. This week I passed out all of them! I even gave some to my mission president! Haha! So that was awesome! I'm grateful for fast Sunday, too. It was great to hear testimonies and to bear my own. It's awesome! It's also my birthday today, so now I'm 20! So I'm officially not a teenager! Haha! We are going to Cracker Barrel with my district today, and I'm looking forward to it! We are going to see if they have Blue Bell ice cream. So I'm super excited to go today! Other than that we aren't doing to much. We might play some Nerf, because it's fun to do that! Haha! But thank y'all so much for everything and for the letters and emails! I appreciate it! I hope y'all have a blessed day! Love y'all! Happy Memorial Day Weekend y'all! I just want to give thanks to all those who have served in the military and have fought for our country and our freedoms. Thank you so much! This past week has been fantastic! We talked in two wards (congregations) this week which was enlightening! 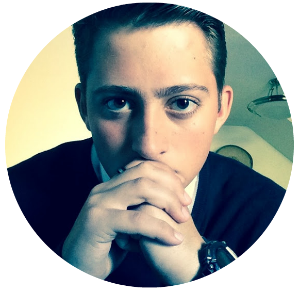 I gave my testimony in the Oxford Ward about missionary work and how the ward could help us and how my mission has changed me. So that was awesome! There were four speakers, so I only had to talk for ten minutes which was nice! Haha! Then in the Heritage Ward we gave talks on being converted to the Gospel which was fun! I got a quote from President Hinckley that my Papa Ault shared for his Sunday spiritual thought that went in really well with my talk! President Hinckley has stated: "Growth comes with correction. Strength comes with repentance. Wise is the man or woman who, committing mistakes pointed out by others, changes his or her course... Let our faith replace our fears." We had a good week, and we met with Abbi again this week. We talked about the Plan of Salvation and it was awesome. He really enjoyed it! He had a lot of deep questions that we answered and discussed with him, so that a great experience! He told us he is one step closer to baptism, and he really wants to! So I can't wait! We also are helping some people moving out soon this week. One is an investigator named Brittany and she is getting kicked out of renting a basement and is currently not sure where to go. She is a single mom. She has to move out by June 1st, so we are helping with that situation with the best of our abilities. Then the other one is the Cababas family, and they are moving up to the Ogden area and will need help moving furniture. So lots of service. But ya, it was a great week and we are trying out a new method of working in our wards and so far it has been going great. We have been doing good! I love this area and working here. Hard to believe it's almost transfers again on June 6th! It goes by too fast! But I love all y'all! I hope you have a great week! Thank you so much for all your support! We just got back from a hike we did to lake on the east side of the valley so that's why my email is so late. I will send hiking pictures soon! This past week has been great! We have been doing good and have been trying to get more members to go out contacting with us which has been going well! We had a few priest in the our wards come out with us, and it is great not only for us but for them too! That way they can get some experience before they go on their missions! So it has been ballin! We did get some snow this week!! Haha! I guess here in Utah it snows in May which seems a little weird, but it was great! We just got a little bit and it melted within a day, so that was nice. But it was still pretty crazy to wake up to snow everywhere! But now it's warming back up to the 70s and 80s, so it will be good weather hopefully from here on out. We also did a lot of service this week which has been great! We helped out our stake with setting up for their women's conference which was fun. We put up decorations and set up chairs, and then we were the lunch ladies for them too. haha! So that was fun! We had a blast at that! We also helped someone move a ton of stuff and boxes out of their house into their garage which was fun. So that was fun, and they gave us a coke afterwards so it was all good. Then we helped an elderly lady move some firewood, but there wasn't much, so it took like 10 minutes. So, it was ballin to help all these people out, and to make someone's day! So I love it! I hope all y'all had a great week, as well and thank y'all for everything! Thanks for the letters and emails! I love seeing those! It's hard to believe that's it's almost been a year, but it's been ballin! Transfers are almost over as well, and it will be the first week in June. So we will see soon, if I stay or leave here. But thanks again! I love all y'all! Happy Mothers Day! I hope all y'all mothers out there had a great Mother's Day! I got to call home yesterday which was ballin! It's one of two calls I get a Year! (Christmas and Mother’s Day) So, it was really good to talk to my family again! It feels like Christmas was just yesterday! Time flies by way too fast! But it was great to talk to them and to see everyone! This week has been pretty good besides calling home! We did a lot of service this week again! We helped a elderly couple chop up some wood Saturday and throw some stuff in the dumpster. So that was a good! We worked from 10 to 2 in the afternoon! So it was a lot of work and they made us hamburgers afterwards! So it was great! We also went on splits a lot his week in the wards that we cover. So that was really good as well, and we found a new less active family to work with! It's too bad we don't report that anymore though. haha! We have been doing really good though and have been helping a lot of people recently with service. We also helped out one of our less actives that we have been working with move Sunday after church. His name is Shawn, and he lives by himself so he needed some help. We got a few people from the ward to help, too. So ya, it's been a good week and I made something for my mom for Mother's Day but it hasn't gotten there yet, so I can't tell you what it is yet haha! But it is awesome! But it's been great, and we have been good and have been doing good here in West Valley. But thank y'all for everything again! I hope everyone had a great Mothers Day! I know that my mom is awesome, and she has taught me well! A scripture that I think ties in well about her is the story of the stripling warriors in The Book of Mormon. In Alma 56 where it says, "...they had ​​been taught by their ​​​mothers​, that if they did not doubt, God would deliver them. And they rehearsed unto me the words of their ​​​mothers​, saying: We ​​​do​ not doubt our mothers knew it." I can definitely bear my testimony that what I'm doing is what the Lord and my mom wants for me. A mission is a constant reminder to me about what my parents taught me and how I can live my life in the future. I love every second. I love all of y'all who have been involved in my life. I have learn so much. I wish y'all a great week and thank you for your support! Well, I think Utah almost decided to become spring now. We did have snow last Friday, so I still think winter isn't done yet! This week has been cold and wet with some cold freezing rain, and also we had our car go to a set of sisters. So we have been walking and biking through it now! So perfect timing right. haha! But it has been good, and it feels good to be back on my feet again! We recently updated our ward maps and we have been tracting all the doors we don't have records on. We actually found some potential new investigators by doing so! We have been doing that mostly this week when we don't have lessons. So it has been really fun and very good for our area as well! We also had a miracle happen last week that I felt like I should put here in my email. So our District Leader, Elder Blatter, had some family in Nacogdoches, Texas and since, as some of y'all know, I have lots of family in Nacogdoches. So I told him that. I got his relative's address (who isn't a member) and gave it to my Mema. She is a ward missionary and works often with the sister missionaries in her ward. So, she went out with them to find them! And guess what, they did! They let them in and talked with them. They are Baptist, and she gave them a Book of Mormon and a pass along card with 3 Nephi 11, where Jesus Christ comes to America after his resurrection. They invited the sisters to come back, and it was a great experience to know that they allowed them to come in! It was a great miracle to witness! It's something that only a mission could bring to pass. So I'm glad I was out here at this point in my life. It gives a witness to me that I'm doing the right thing and that Heavenly Father is looking out for our family. So yes, I'm enjoying every day of my mission. It has been great to witness so many miracles on almost a daily basis here and to meet many people from different backgrounds. Utah truly is a gathering place for the world and everyday I met people from outside of the United States (For example, this week I have met folks from India, Colombia, Mexico, and China.) It is even better working with these people to come to the gospel and find that it works for everyone no matter the background of the person. By just coming to church, reading the scriptures, and saying personal prayers, you see a visible changes in their families and in how they do their dealings in secular things in a positive way. It is a miracle to witness that. Everyone has been great and thank you again for your prayers and support! It's awesome to be here and it's been great. It's the best feeling in the world is when you knock on a door and the person who answers says something like we just prayed for you to be here. Miracles do happen and it great to be here for the ones that I see and those I don't see. I love all of y'all and hope your week has been good! Thanks again for the support, and I hope all of y'all have a ballin week! Hunter Week 6: Transfers, Temples, and Conferences Oh My! Good morning everyone! This past week has yet again been fantastic! We had Stake Conference, which is when multiple local congregations come to together for a big service, this past weekend for the Granger South Stake! We had an Elder from the Seventy come to it, and he was from Mexico. His name is Elder Ben De Hoyos! He was really good at involving everyone, and it was great to hear from him. I got to talk to him and shake his hand! Besides Stake Conference, we did some service for a part member family. They were building a play set for their kids and needed some extra hands! So that was great and we got to know the husband who is not a member of the church and invited them to Conference. We set up a time to teach their family for next Wednesday which will be great! We also took a recent convert named Tiffany to the Oquirrh Mountain Temple down in South Jordan to do some baptisms for the dead! We as missionaries can't do baptisms in the temple because of some weird rule but we did do confirmations which was a really cool experience! I've never done that before, so it was a really cool! It was a great visit and the temple president's wife talked to us as well as a few other temple workers to help guide Tiffany since it was her first time in the temple. So it was really good! We got to chill with the temple workers and got to know them! One of them was from Sherwood, Arkansas, which is right out of Little Rock. So that was ballin! We also went to a mission fireside this Sunday which was ballin! They had this ballin Polynesian group sing , and it was really good! President Palmer, our mission president, spoke as well and it was great to hear from him as always! We tried to invite people to it. but everyone said no to us which was sad. It was still a great experience! I also, on a side note, I met a family who had been to Pea Ridge last week which was ballin! They have a son who loves in Fayetteville, but he is in the Prairie Grove Ward! So they went to the military park in Pea Ridge, and they will be going back this October. So I gave them my address so they would know where I live! Haha! But ya, they are a ballin family named the Deardens! So this week has been great, and I'm just ready for summer to get here! I hope all of y'all had a great week as well! Happy Easter Y'all! It's been a great past Easter week here in Utah! Although Utah doesn't really celebrate Good Friday and all that, it was ballin! We had a Easter baptism this weekend! We had a baptism for Zadien who is 10 and his little sister who is 8! It was so ballin! We had their home teacher who was very close with the family baptize them and me and Elder Muse did some great witnessing for the baptism. It was a lot of fun to help that family out. It's a single mom family, and it was great to help them out and help the come to church! The dad and grandparents came to the baptism, and we talked to one of the mom’s sisters who is less active. We talked about helping her kids get baptized as well! So we will see how that goes! Also, after the baptism we were driving and we saw a ton of old Ford and Chevy trucks and convertibles in this guy front yard. He let us mess around with them, and we took some ballin pictures. haha! So it was a great reward after the baptism. haha! We also had the mission tour this week with President Christensen coming from the Seventy! It was so awesome! He talked to us about the Holy Ghost and how we can receive revelation for ourselves and our areas! It was a huge spiritual experience! Elder Muse actually got chosen to be interviewed by him. So that was a great experience for him, I'm sure! We got to ask him questions about concerns we have and everything. So it was ballin! We also got to hear from President Palmer as well which is always great! I learned a lot from them, and it was a great opportunity to listen to them both! Other than that, this week has been normal regarding missionary work! We did get to meet with Jose’s family. He's the one that went to General Conference with us, and we have been trying to get them to church. They haven't been coming since conference. We are working with some of the kids to get them baptized, and we have been helping Jose get the priesthood. Then he could baptize his own kids which would be awesome! So hopefully we get the ball rolling there. But ya, it's been great here in the valley! Thank y'all so much for everything that y'all have done for me! I appreciate all the letters and emails! I hope all of y'all had a great Easter and a Christ centered week! It's been great, and I have loved every second of my week! Hard to believe it's been 10 months already! But it's ballin! Love y'all! This past week has been great! Saturday night we had some more snow come through Utah, and I woke up on Fast Sunday to another white wonderland! So that was fun! I had to pull out my winter coat again! But besides from the snow, this week has been great! We are having a mission tour this coming week and an Elder from the Seventy is coming to tour the mission. So I'll be able to tell y'all more about that next week. This week we had a Zone training basically preparing us for when he comes to speak to us. The whole mission will be getting together! So that's going to be fun! This week we have been knocking on a lot of doors as usual, and we might have some potential new investigators in our area which is great! So we will be following up with a lot of people next week! We have a few people on date for next Saturday. One is Jose's son named Dominic (he is the one that went to General Conference with us) which should be great! We also have a 10 year old named Zadien with his 8 year old sister which will be great as well! We also have another kid named Ethan who will be baptized next Saturday, and at will be awesome as well! So ya next Saturday is going to be ballin! We have been preparing them to be baptized, and they are all ballers! But ya the work here is going very well! We have also been sharing the new Easter video to people. Each year the Church makes a video for Easter and Christmas. This year’s Easter one is very good! If you go to Mormon.org, it's right on the front page! It is a very good video and has a great message! So I hope y'all will watch it and can be inspired from it! I know I definitely have been! But ya. I love all of y'all! Thanks for the support you give me and I really appreciate it! I hope y'all have a great week! Stay Safe! Good morning everyone! This past week has been yet another ballin’ week here in West Valley! We had General Conference this last weekend, and I hope everyone got a chance to watch it! It was awesome! We went to the Saturday afternoon session, and it was soooooo cool! The Conference Center that the Church built in Temple Square is massive, and it was so cool to be in there and to sing with literally thousands of other people. It was an amazing spiritual experience! We went with a recent convert and his son and brother in law who were not members, and they loved it! They were asking us when the next conference would be, and it was cool! We met so many people from France and Brazil while waiting in line. It was pretty neat! They didn't announce the Arkansas Temple yet, but they probably will next year! ;) It was great to hear from our Prophet, Thomas S. Monson, and he is a awesome, He shared a ballin’ testimony! But ya, I definitely got inspired to improve some things that I think will help me become a better missionary! Regarding people we are working with, currently we found a new part member family named the Fadels who in the past had some rough history with the Church. They could use some prayers. The dad is really trying to make an effort, so that will be good for the whole family. We didn't get to meet with Abby this week. We will hopefully be getting a new investigator next week! It is someone named Brittney, and she is living in a member’s home and wants to met with us. So we will be swinging by Tuesday for that! But ya, the weather has been great recently, and it makes we wish I was biking! It's still weird being in a car area, and plus it's smaller than my area in Tooele. haha! But ya, thank y'all for all the support and prayers! I really do appreciate it! A mission is the best thing that can be happening for me at this stage in my life. I'm learning more and more each and every single day about how to use Christ more in my life, and it's ballin’! The Church of Jesus Christ of Latter-day Saints is true, and so is the Book of Mormon! Right now I'm in Helaman in the Book of Mormon, and I have recently been learning more from the Book of Mormon than ever before! It's crazy. I've been reading like 10 chapters a day, and it's so ballin’! So I will ask all of y'all to do the same challenge that Sister Palmer gave to me which is to read 4 chapters of the Book of Mormon every day and by doing so you can draw closer to our Savior. So ya, love y'all! Keep being you! Also, just so y'all know, we are hiking Bells Canyon. So I'll have no service probably until we get back this afternoon!